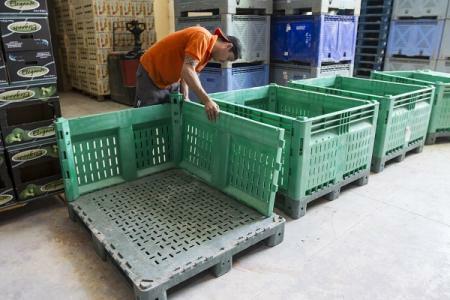 "For broccoli and melons the Dolav KitBin is a saviour for us," says Trevor Shulton, managing director at Gravesend-based Rodanto - a fresh produce importer and producer of fruit, vegetable and salad products. 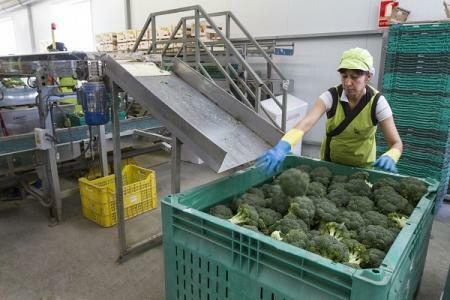 The company grows broccoli on 350 hectares in southern Spain. From November to June Rodanto imports 120 - 150 tonnes of broccoli in collapsible Dolav Kitbins each week on nine truckloads. It takes less than 70 hours to ship from pack house to retail customer. Rodanto supplies the UK retail sector, mainly Morrisons and also processors and pre-packers. 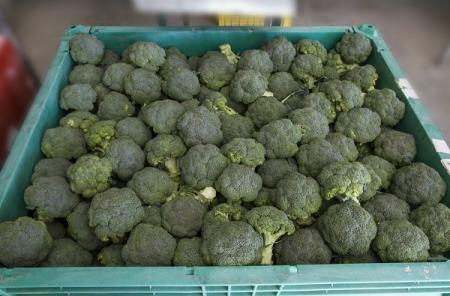 A full lorry load of 78 full Kitbins (1200x1000x715mm) each containing 180 kilo of broccoli to give a 14 tonne pay load. Rodanto dismantles and stacks its empty Kitbin to reduce the 'return empty' trips to only one third of the number with payload - a saving 270 journeys. That has worked as planned for four years and in that time every collapsible Dolav KitBin has done 30-40 return trips. "We are able to break them down very easily and the Kitbin and its components are particularly robust." Trevor Shulton said, "We chose Kitbins because we can place 180 kg of loose product in each. This gives us an economically viable load, our customers can bulk tip on to packing lines which gives them ease of handling and avoids product damage. We have used the same Kitbins for four years which is about 120-160 trips each so far and we are set to continue like that for the future. As we continue to grow look to reduce risk and improve economies of scale using the most efficient means available for which I am quite happy to say for broccoli and melons the Kitbin is a saviour for us."